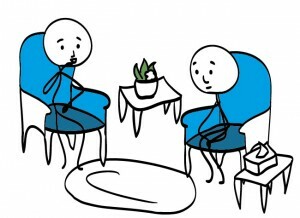 People have many different reasons for turning to therapy. Some feel overwhelmed by their problems and know they need to talk them through. Others may feel stuck, depressed, anxious, unhappy or ‘on the edge’, without being sure exactly why, and know they need support to tease out what is at the root of their distress. Others may have suffered an event such as a bereavement or an accident, which has left them in distress and unable to function as well as they would wish.